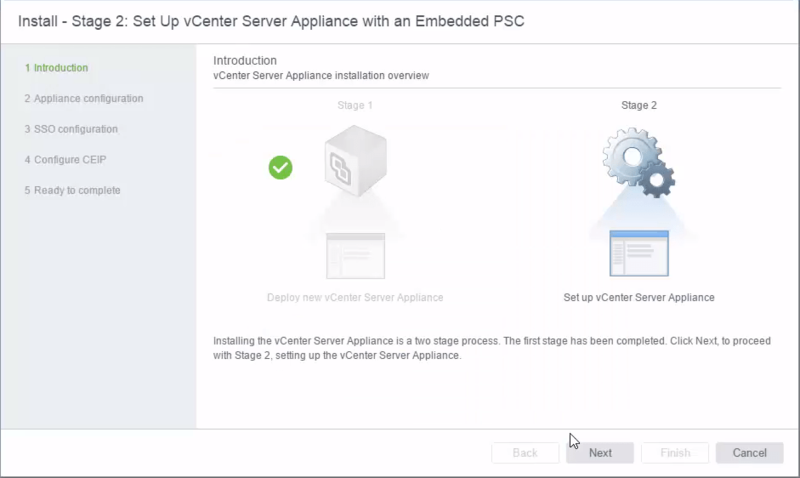 The post below will walk through the deployment of an embedded vCenter Server Appliance 6.5 using the GUI installer, where the PSC and VC roles are installed on the same servers. 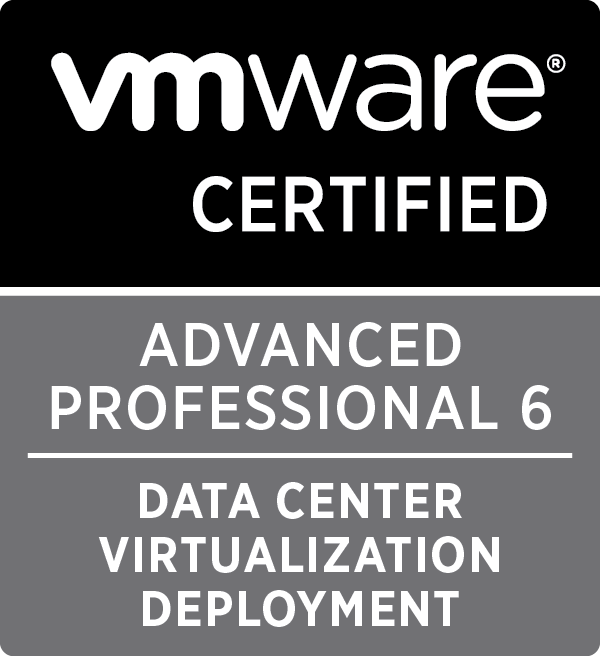 This deployment model is perfect for smaller environment where Enhanced Linked Mode is not required. 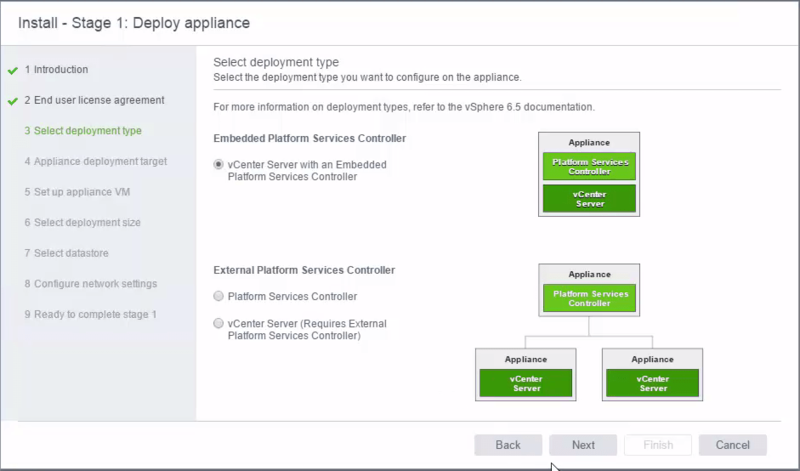 The PSC Topology Decision Tree is a great read if you aren’t sure on how you should deploy these core components given your requirements. If you are interested in also seeing other GUI/CLI deployments, please see my post here which has links off to other individual articles for different deployment methods. 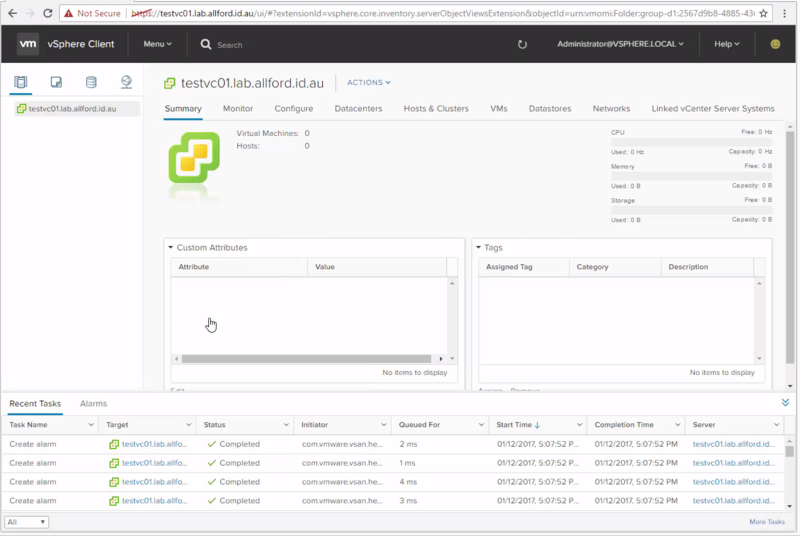 For each of the deployment methods I am providing a video as well. 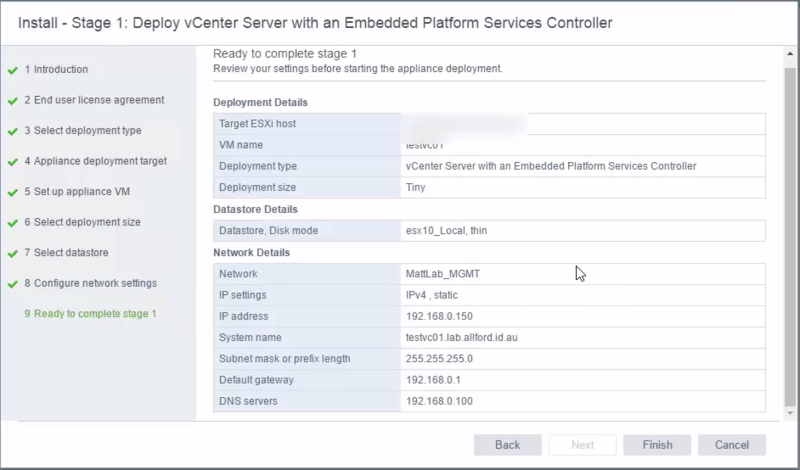 Please find the video for the VCSA Embedded GUI deployment below. This has been recorded in FullHD, so best to watch it in Full Screen! 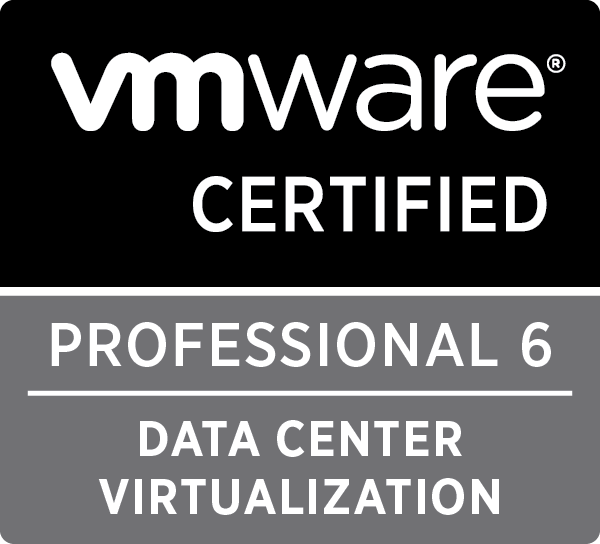 I’m doing the deployment from a Windows machine, but with vSphere 6.5 you of course have the choice of running the installer from Windows, Linux or OSX. Let’s dive into the installation. 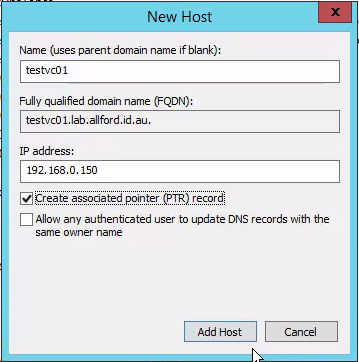 The first thing I do before deploying any appliance is making sure there is a DNS record with forward and reverse records. 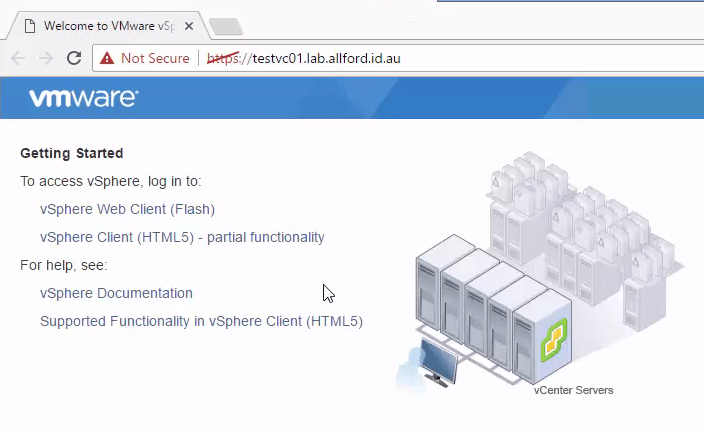 For this walkthrough I’m naming the appliance testvc01.lab.allford.id.au (192.168.0.150). As mentioned, stage 1 handles the deployment of the appliance. 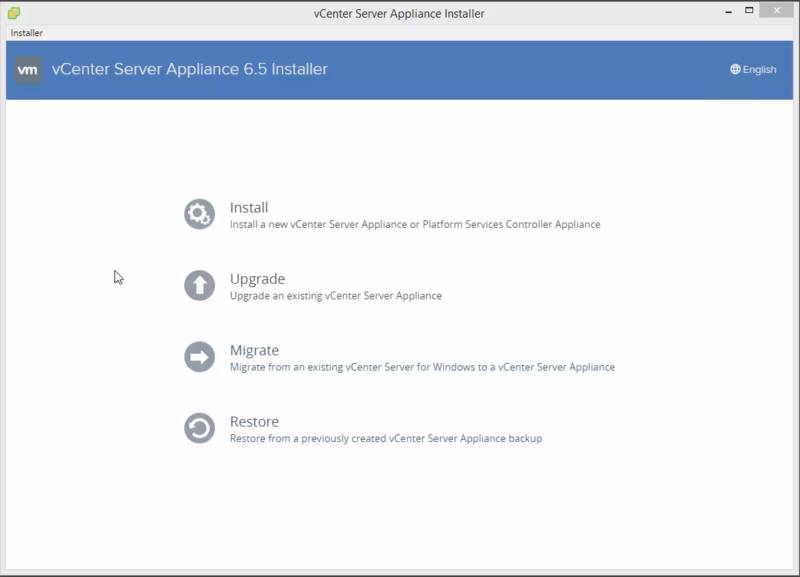 After launching the installer, you will be presented with a number of options. Click Install. Click Next past the introduction. The next step is to enter in the details for the target node of where the appliance will be deployed to. 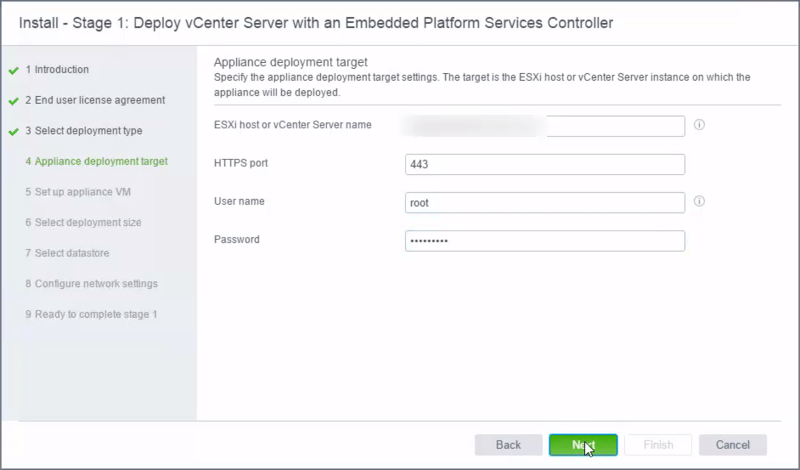 I’m deploying the appliance to an ESXi Server, you do also have the option to deploy it to another vCenter Server. 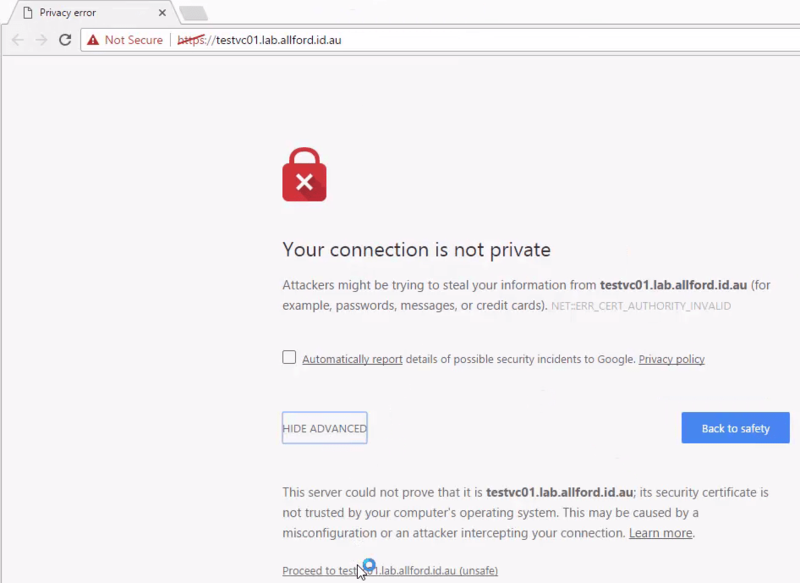 If the target node does not have a valid SSL certificate trusted by the machine you are doing the deployment from you will see the following warning. Ensure you have selected to the correct destination node and click Yes. We now need to pick a deployment size. 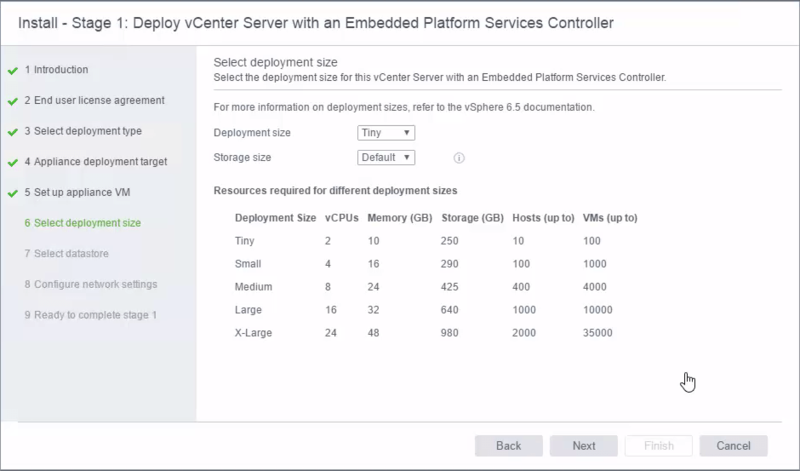 We are shown a table here of the different deployment sizes, the required resources and also the suggested hosts / VMs to be supported by that appliance size. You can pick the relevant appliance size here based on your requirements. I’m going to choose Tiny for the lab. There is also an option to change the storage size. 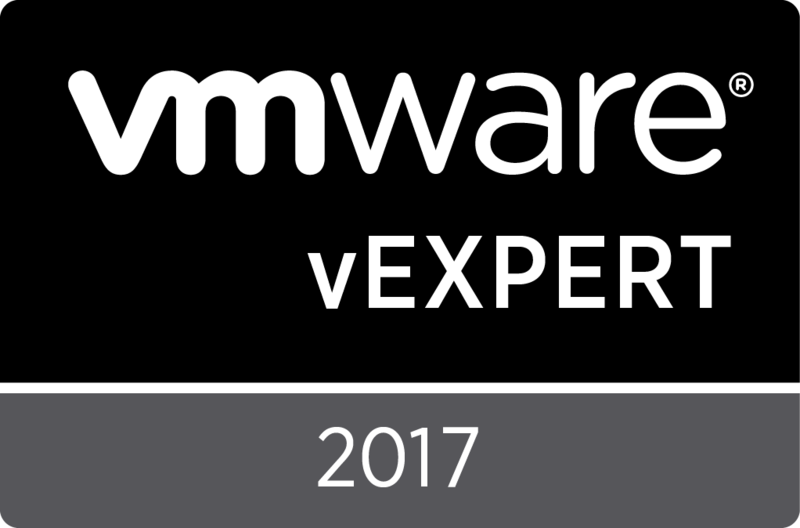 This can be handy if you are deploying a smaller size appliance but you want to keep a lot of tasks, events, stats, etc. I’m going to leave mine at default and click Next. 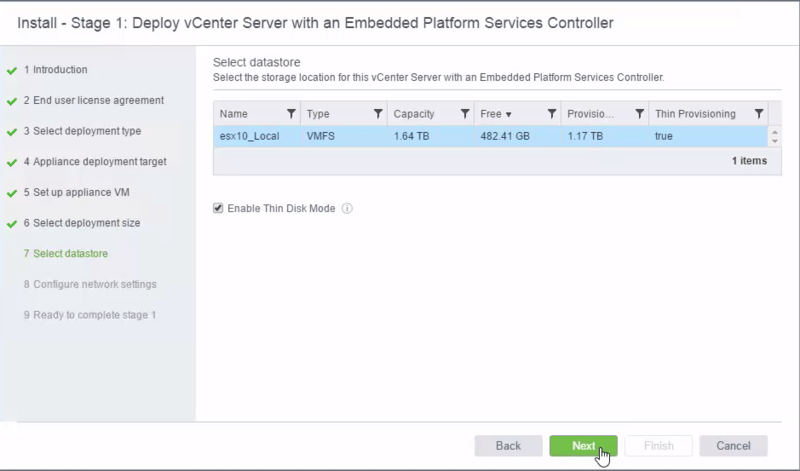 We’re now shown the available datastores on the target ESXi node / vCenter Server to place the new appliance on to. 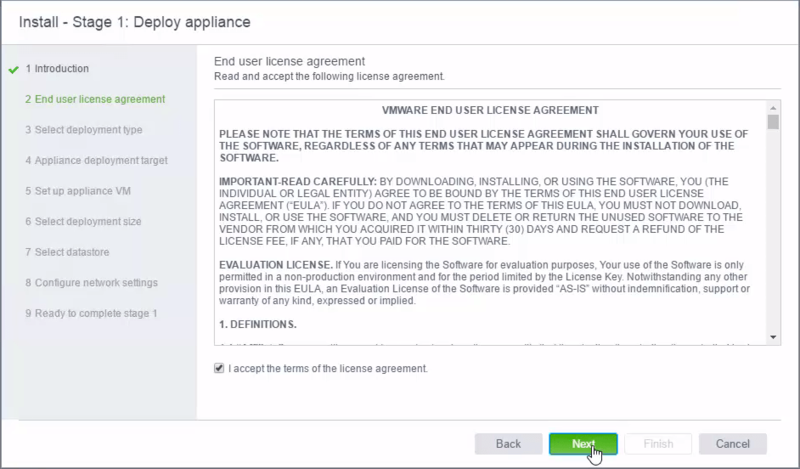 Select a relevant datastore and choose whether you want to enable thin disk mode for the appliance or not and click Next. We’re now shown a summary of the settings that we’ve chosen throughout the wizard. Confirm the settings and click Finish to begin the deployment. 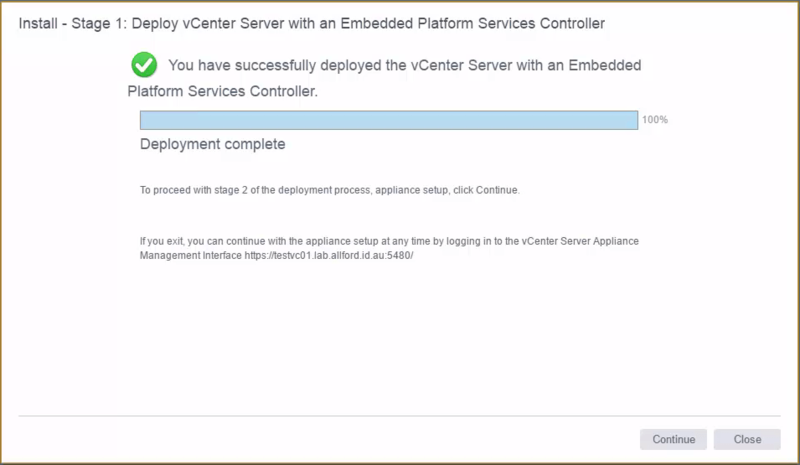 The deployment process takes around 10-15 minutes, and hopefully you see the last screen below showing a successful deployment. 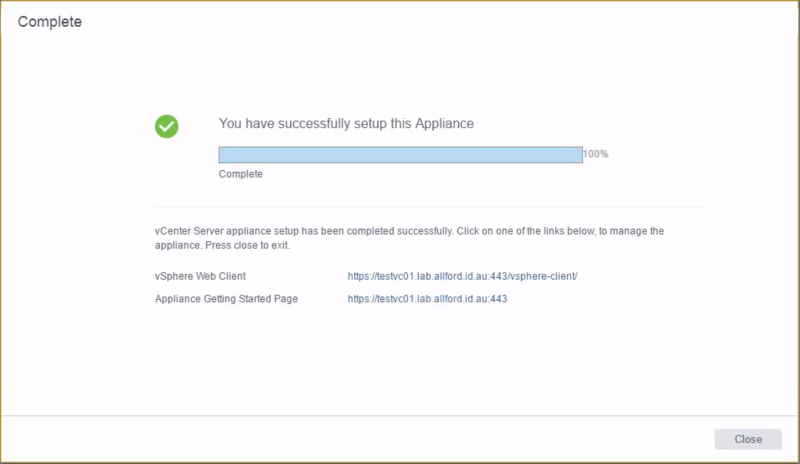 Now that stage one is complete, it is time to proceed to step 2 which is the configuration of the appliance. 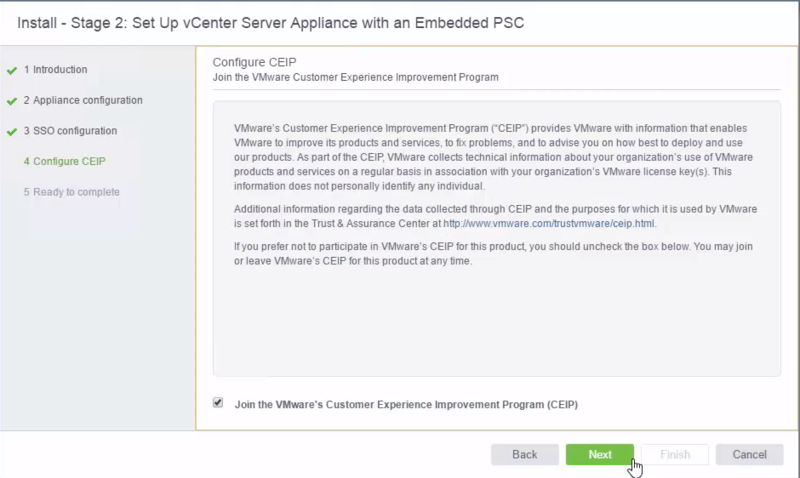 Step 2 can be started by clicking continue in the screen above, or alternatively after stage one is complete you can browse to the VAMI interface of the server (https://fqdn:5480) to complete stage 2. 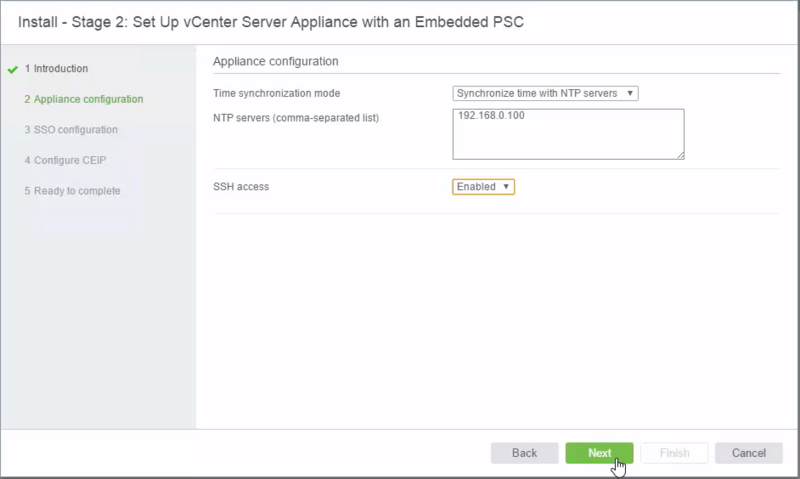 This step is to configure time sync for the appliance which can be either by syncing with the ESXi host or by entering details for NTP servers. I’ve chosen sync with a time server. 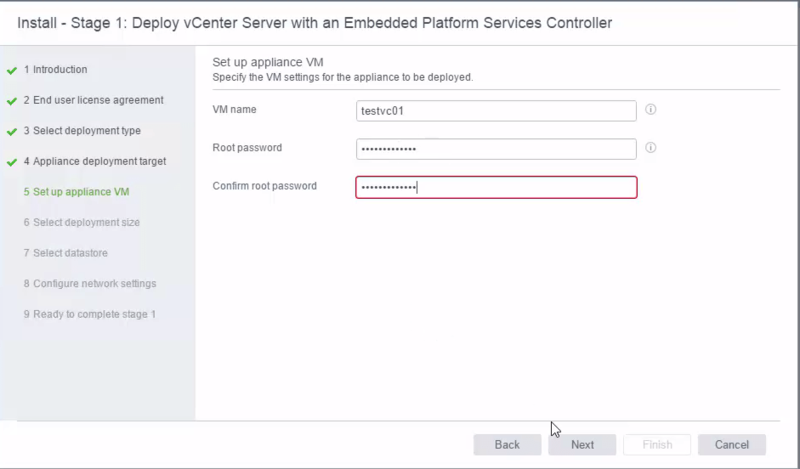 Also choose whether you want SSH enabled on the appliance or not and click Next. 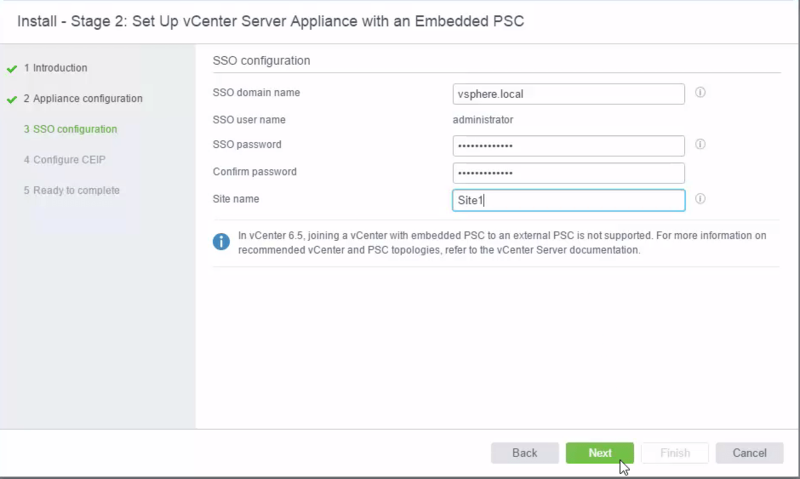 On the SSO Configuration screen, enter the details for a new SSO domain and administrator account as this is an embedded deployment so it cannot join an existing SSO domain. Choose whether to join the CEIP or not and click Next. We’re now presented with a summary screen for stage 2. Confirm all of the settings, especially NTP and DNS and then click Finish. 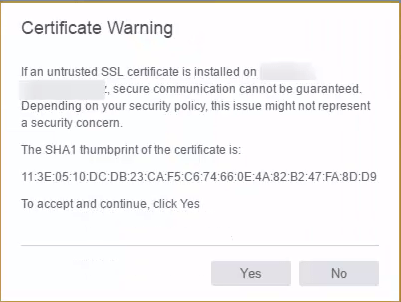 You’ll receive a warning that there is no going back after you click OK. 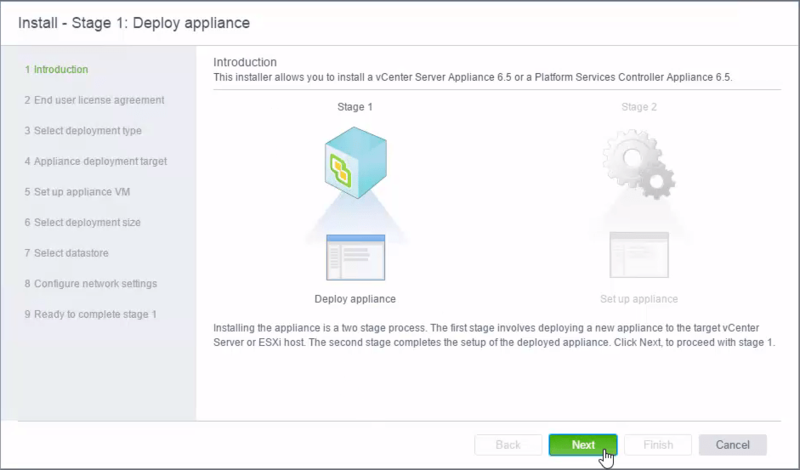 The configuration of the appliance will now start and similarly to stage 1 you’ll be provided with a progress window. 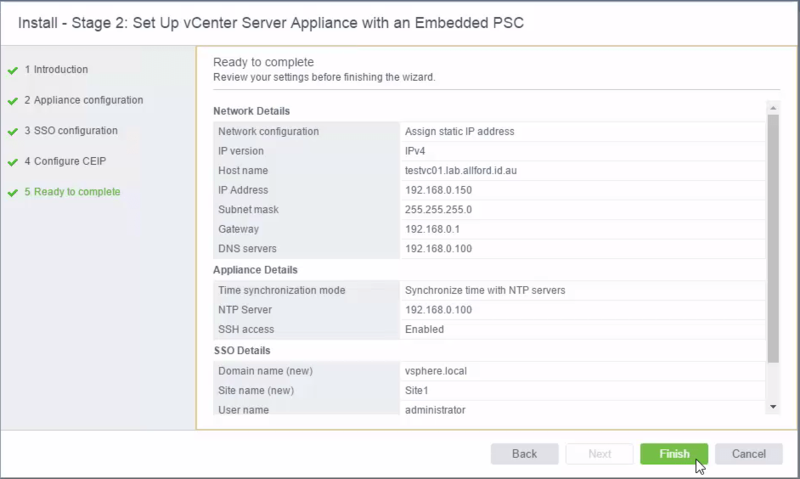 With any luck, you’ll see the screen below showing a successful setup of the appliance is complete, and you’ll also be provided with some URLs to the getting started page and the vSphere Web Client. 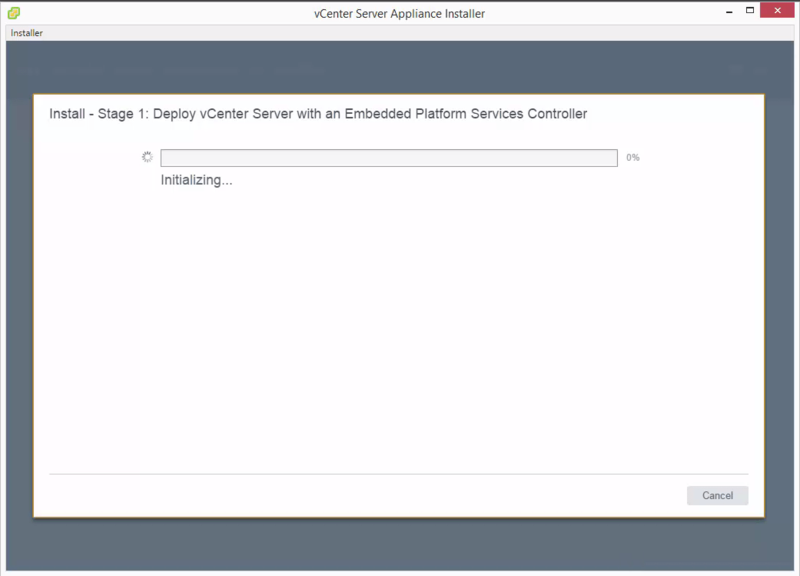 We’ve now got an operation VCSA embedded node that has been deployed using the new GUI installer! 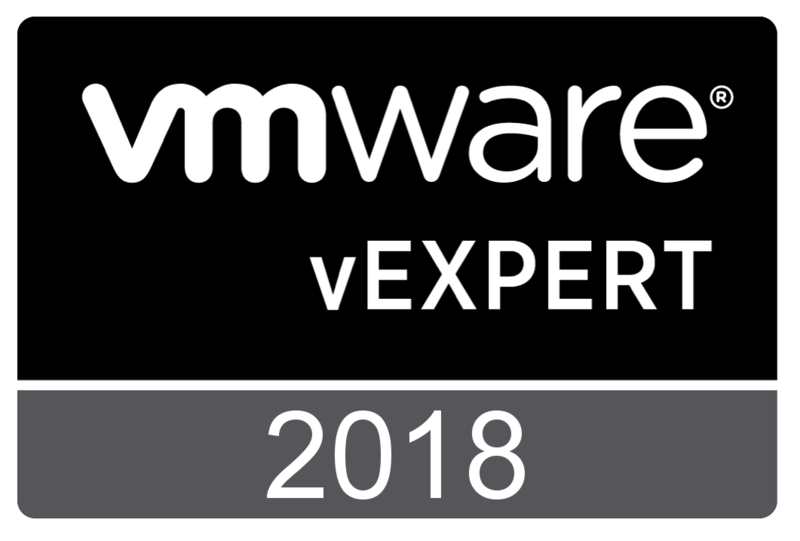 As mentioned in the intro, please check out the video as well as the links off to other deployment methods that may be of interest.